A fictional character that was created by the British journalist and novelist Ian Fleming in the year 1953 was James Bond. He has been shown in different mediums such as novels, films and comics. The character of James Bond is of a Secret Service Agent and his code is 007. He lived in London but was active internationally; the character of the Bond was a composition of several characters of commandos that Fleming knew during his years of service in the Naval Intelligence Division in the time of Second War. Fleming added his own creative styles to those to make them unique and different in their own way. The name James Bond was taken from the American ornithologist having the same name. The character James Bond is shown having various interests in the novel mainly those includes; love for food and drinks, enjoying the cars’ ride, and he was shown chain smoker who consumes sixty cigarettes on average that are custom made. James Bond is described as a good looking man who is tall heighted and has slim built, his eyes are bluish grey and as per some writer cold. There is a scar on the back side of his hand and has hair black in color. The clothing style of the character Bond was also different and because of all these traits he was admired by many readers. Inspired by this fictional character we bring your way the clothing collection that are just same as that of the Bond. 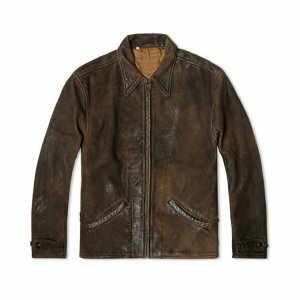 James Bond Skyfall jacket is admired by the youngsters and guys of all ages wanted to have it in their collection. So here is your chance to dress yourself like the Commando Bond James Bond 007 and show your style to the world in your own way.